Can a physically fit twenty-something who never smoked a cigarette get lethal lung cancer? Unfortunately, the answer is yes, and doctors don’t really know why. But if Bonnie Addario has anything to say about it, those answers won’t be cloaked in mystery much longer. 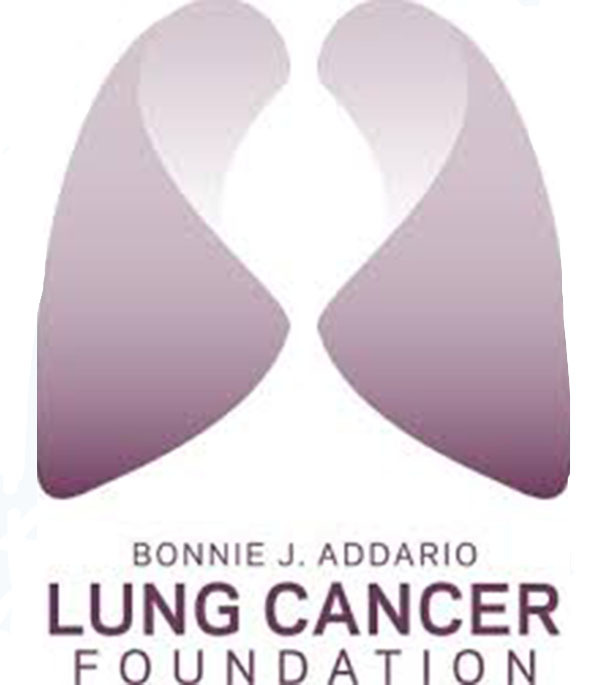 Unraveling genetic reasons for lung cancers that strike people under the age of 40 has become one of the research passions of the Bonnie J. Addario Lung Cancer Foundation. Addario, whose own battle with lung cancer started when she was in her 50s, turned her attention to the problems faced by younger patients about five years ago when she received a phone call from a distraught mother searching for help for her 21-year-old daughter. The young woman, Jill Costello, was a member of her college rowing team who had never been a smoker, yet she had just been diagnosed with stage 4 lung cancer. She died just one year later in June 2010, shortly after graduating from the University of California, Berkeley and leading its women’s rowing team to PAC-10 and NCAA championships. Addario, who has cultivated a network of the world’s top lung cancer researchers since forming her foundation in 2006, tried to help. After the foundation itself and Jill’s friends took steps to increase awareness about lung cancer among younger people, Addario started hearing from other young, athletically fit never-smokers who had the disease. Statistics show why it’s so difficult to put such younger patients on the research radar. Lung cancer in the United States is most frequently diagnosed among people ages 65 to 74 years, according to the National Cancer Institute. Fewer than 2 percent of cases are found in people under age 40. Yet, lung cancer is so prevalent that even a small percentage of patients adds up to a large number of people, Addario notes. “If you look at 1.4 million people diagnosed around the world every year, 2 percent is a big number of patients,” she says. The foundation started a group called Jill’s Legacy in her honor, to help raise money for young patients with lung cancer. And, the Addario Lung Cancer Medical Institute (ALCMI), which the foundation formed to conduct a variety of research into the disease, set out to determine the characteristics of lung cancer in younger people. Tapping into the best minds in the field, ALCMI designed an innovative clinical trial to find patients under age 40 and analyze their tumors to see whether there have gene mutations that are different from those found in older people with lung cancer. Dr. Barbara J. Gitlitz from the University of Southern California and Dr. Geoffrey R. Oxnard from the Dana-Farber Cancer Institute are leading the study. Participants are able to fill out medical history and consent forms online to be considered for the study. Study organizers then mail them a laboratory-approved kit they can take to their doctor, who collects tissue, blood and plasma samples and ships the kit to U.S. centers for analysis. If molecular diagnostics have never been conducted, the samples are sent to Foundation Medicine in Massachusetts, which tests the specimens free of charge. The ongoing study has attracted 120 participants from the United States and Europe thus far, according to findings presented at the World Conference on Lung Cancer in September. Preliminary results show that more than 75 percent of the participants have a mutation that can be treated with a targeted therapy. Meanwhile, ALCMI-funded researchers have detailed the results of a study examining the genomics of patients treated at Dana-Farber between January 2002 and December 2014 in JAMA Oncology. They found that younger patients are more likely than older people to have a targetable gene mutation and are less likely to have ever smoked. The findings indicate the importance of mutation testing for younger patients because drugs may be available to help them. Addario believes that a shining a light on the nature of lung cancer among young people will help battle the stigma that accompanies the disease. For more information about the Genomics of Young Lung Cancer study, visit their website.